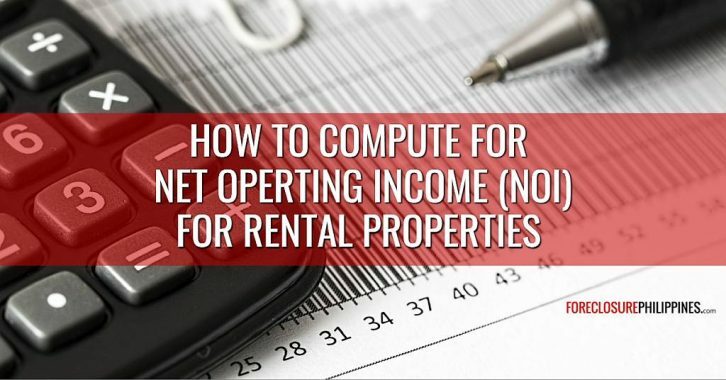 A very important metric that is more applicable to income generating properties like multi-door apartments, is Net Operating Income or NOI. What exactly is NOI? And why is it so important? Please read on to find out. Note: In my previous posts, I covered Maximum Allowable Offer (MAO), After Repair Value (ARV), and Cost Factor (CF), which are for properties that we intended to flip for a profit. 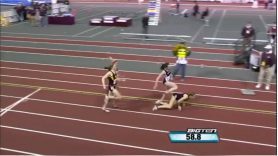 You might want to read those articles if you are also interested in flipping. 1 What is Net Operating Income or NOI? 3 Why do we need to compute for NOI? What is Net Operating Income or NOI? NOI is basically what remains of the actual or projected annual income of a property, after all operating expenses have been deducted. Operating expenses include real property taxes, property insurance, property management, maintenance reserves, vacancy rates , collection losses, etc. Costs related to debt servicing (in case a property was purchased through financing), are not yet deducted, when calculating for NOI. Furthermore, NOI can be before or after taxes. For this post, we will be computing for the NOI before income taxes are deducted. 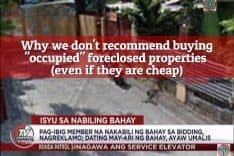 Assumptions: Let’s assume that Real Property Taxes would amount to Php30,000 per year, property insurance would be around Php12,000/year, and property management would be Php5,000/month or Php60,000/year. 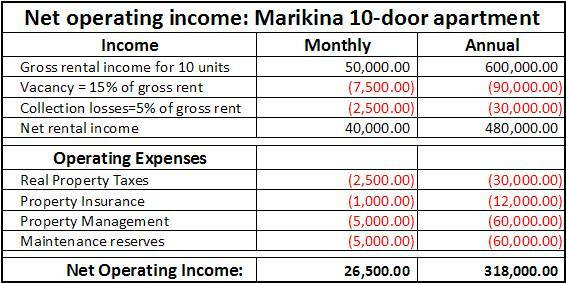 The property also has a vacancy rate of 15%, and you also set aside Php5,000/mo for your maintenance reserves. 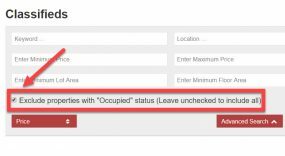 Lastly, let us also make an assumption that there will be a collection loss of 5%, meaning you won’t be able to collect rents from your tenants 5% of the time (these are caused by your tenants from hell). Why do we need to compute for NOI? 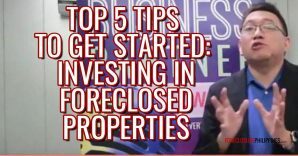 You need the NOI to determine if a property has potential as a “good investment”. Most people are offered/think of buying income generating properties without considering operating expenses. If you compute for the the NOI, you will have a pretty good idea if a property will be a worthy investment. If you know the NOI, and you are going to buy a property through bank financing, you can easily estimate the cashflow it can generate. 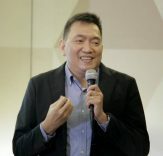 In our example above, if you bought it through bank financing and your monthly amortization is less than Php26,500/month, then you can already say that it’s a self-liquidating property. You need the NOI to determine a property’s cash-on-cash return. This gives you an objective way to compare your projected returns from an income generating property with other investments like stocks, bonds, mutual funds, etc. This will be tackled in my next post which should be ready by next week. You need the NOI, along with the capitalization rate or cap rate to determine a property’s market value using the income method. For income generating properties, the income method is the recommended way to calculate for the property’s market value or After Repair Value. This will be tackled after my post on how to determine the cash-on-cash return. Please watch for it. Obviously, the accuracy of the NOI greatly depends on the accuracy of the rental income and operating expenses that you will use. My advice is to use actual values as much as possible. 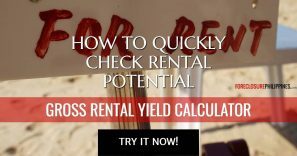 It would be easy to get actual rental rates by going around the immediate vicinity of the property you are evaluating. 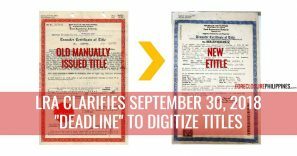 Real property taxes can be checked by getting a copy of a property’s statement of account or SOA for real property taxes at the office of the City/Municipal Assessor’s office or Treasurer’s office. For maintenance reserves, I have read a lot of books that say setting aside 10% of the gross rent would be good enough, but it still depends on you. Depending on the age of a property, maintenance reserves might need to be bigger, especially if repairs and maintenance needs to be done sooner. I suppose estimates for vacancy rates, and collection losses, can come from landlords or property managers that operate in the same area. By the way, more than 2 years ago at the time I wrote this, I asked around and found out that during that time, property managers usually charge anywhere between 8% to 15% of gross rents. I’m not sure if these figures are still accurate so I will have to ask around again. 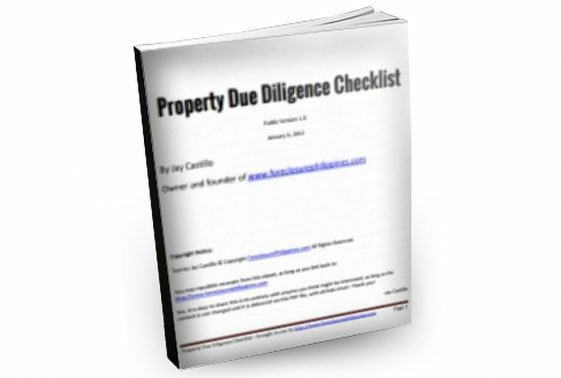 If you are evaluating a rental property, make sure you include NOI as one of the numbers you need to determine as part of due diligence. Remember, without NOI, you really won’t know for sure if you will have any positive cashflow/passive income, and it will help you stay away from properties that are really just money pits. Text by Jay Castillo and Cherry Castillo. Copyright © 2018 All rights reserved.